After almost a year and a half in the waiting to be quilted pile, I got the Aviatrix Medallion basted and quilted a couple of weeks ago. I used wool batting because I love it. However, I should have paid more attention. 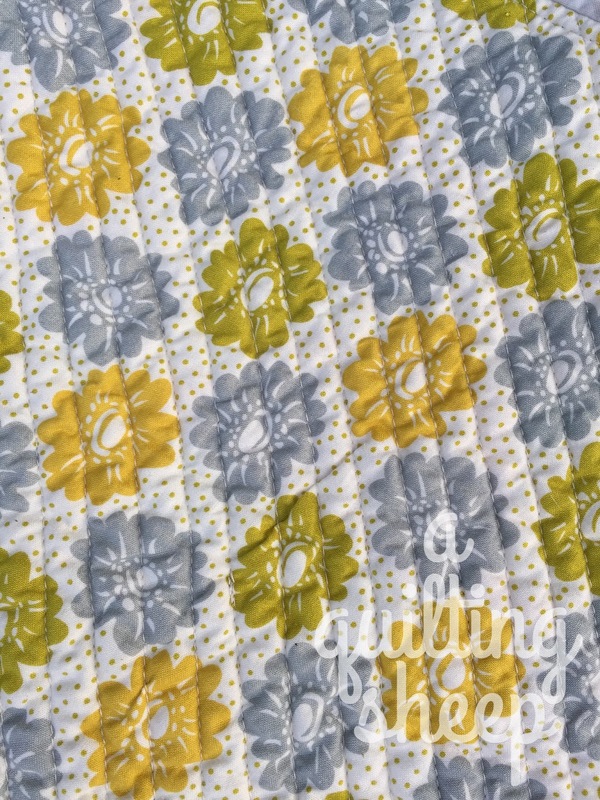 When quilting in a circle, the fabric does shift a bit. Because the wool has a higher loft than the cotton, it shifted a bit more than I have been used to. I adjusted the fabric from the front but didn't think about the back, so I ended up with a few puckers. I refuse to cry over it. 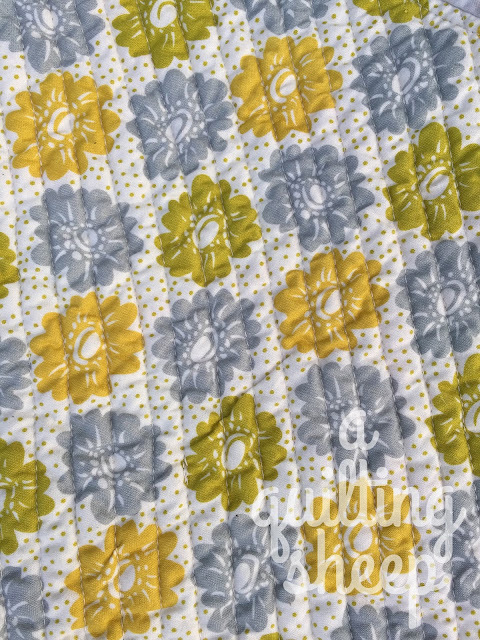 You can find the Aviatrix Medallion pattern at Elizabeth Hartman's shop. I LOVE this quilt with the grey background and the colors you chose. I also LOVE how you quilted this - it especially centers the star in the middel - the 'star' of the show/quilt :)! 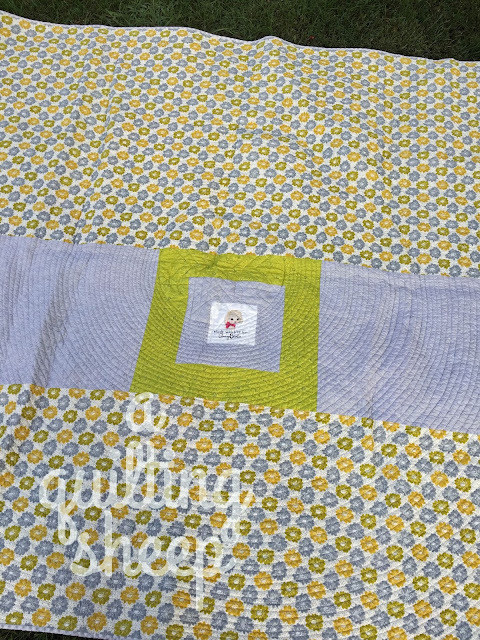 Those puckers - only the quilter sees - the rest just wrap themselves into this beautiful quilt - honestly - that's what my daughter says - and you know, she's right :)!! I love the way you did the quilting in circles ~ beautiful! Your quilt is just lovely! Pointing out your mistakes is not required, either! It's beautiful, Amy! I love it! Your quilting looks great. Lovely quilt. 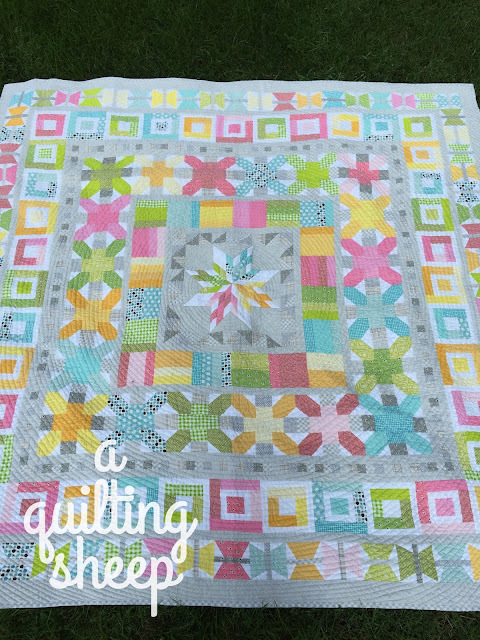 I had that problem a couple of weeks ago on a small piece and I kept tearing the quilting out. Finally said what the heck and just went for it. 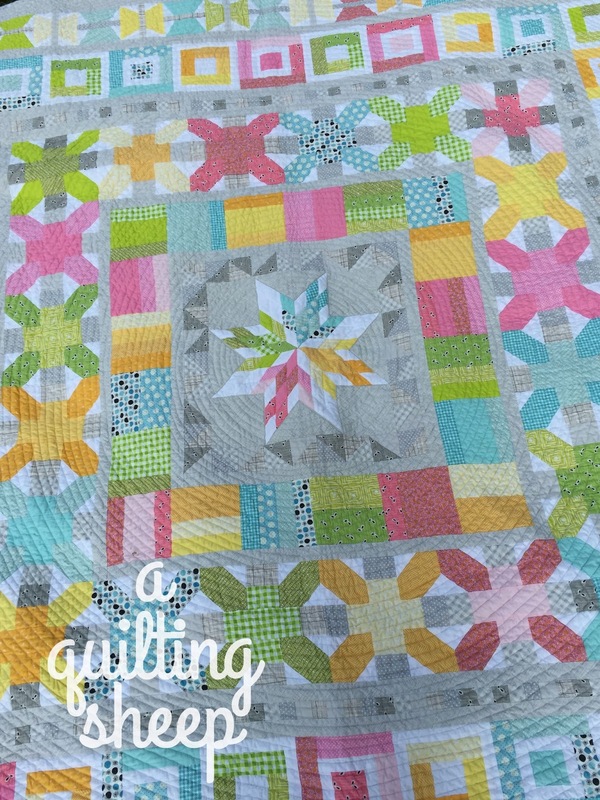 Your quilts are always so gorgeous. That is a beautiful quilt, I love the fabrics and the pattern. 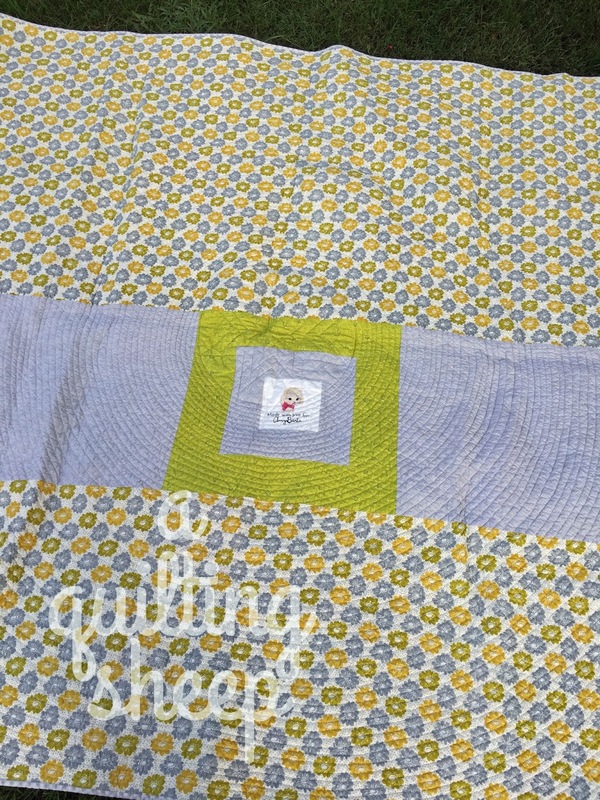 I am sure that it is hard to let puckers go and not think about them but I am sure that you will not even remember them as you enjoy this lovely quilt. 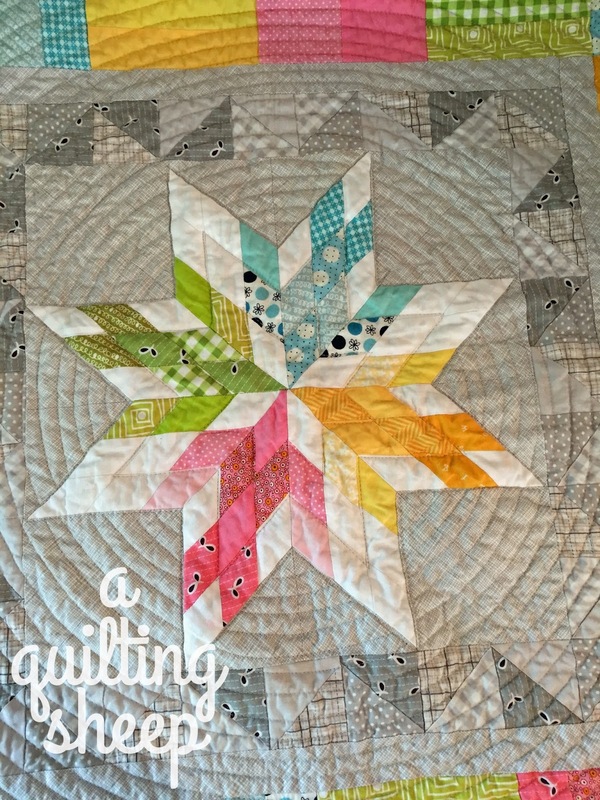 This is beautiful and the looks great with the quilting you did! Oh WOW! I love this quilt. You did a fantastic job. No matter the puckers happiness is homemade. gorgeous love the pattern and the colors and especially the quilting. awesome! That is STUNNING! As far as the puckers go - I'm giddy if I have just a few puckers...!